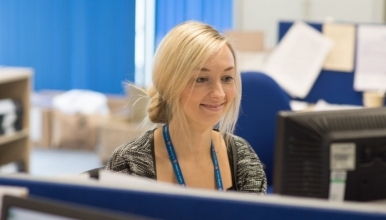 We are looking for a Higher Level Medical Secretary to work within the Gastroenterology Department at The Princess Royal Hospital. The post holder will be expected to work accurately under pressure with the ability to manage and prioritise their own workload. The post holder will produce accurate clinical and general correspondence, regularly using complex and sensitive medical terminology from audio transcription and self generated correspondence. They will respond to telephone calls from anxious and distressed patients, responding appropriately to contentious, sensitive and difficult enquiries. The successful applicant should have knowledge of good practice and system of work within the secretarial/ PA field, knowledge of Health & Safety and an understanding of confidentiality/ data protection issues are essential. You should already possess 4 GCSEs (grades 9 - 4) or equivalent, RSA Stage 3 typing, word processing (or have equivalent experience) and knowledge of Microsoft Office. The ability to plan and prioritise a varied workload is essential as are good interpersonal skills and the ability to communicate with a variety of staff groups at all levels.